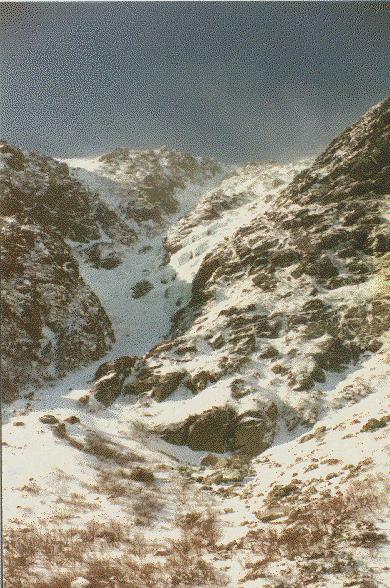 This ravine hosts the most difficult trail in the White Mountains. The Huntington Ravine trail gains 2000 feet over narrow, steep and exposed ledges. It is not recommended in wet conditions, and is definitely not a choice for hiking down.. 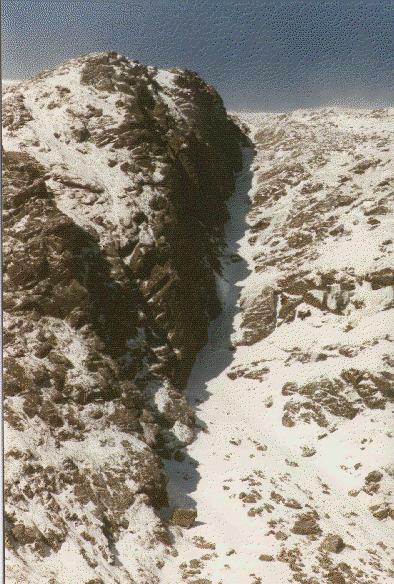 In the winter, many ice climbers play on the near vertical chutes. 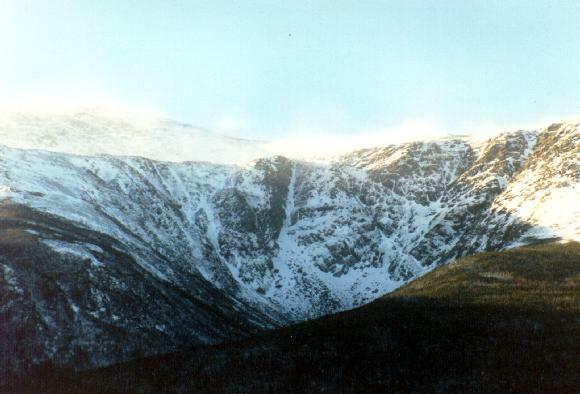 The ravine is located just north of Tuckerman Ravine on Mount Washington. 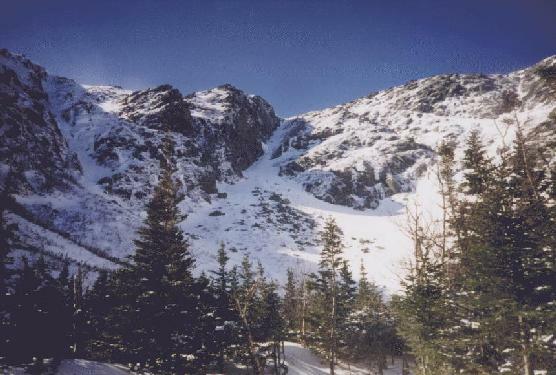 A typical hike starting from Pinkham Notch is to take the Tuckerman Ravine trail up to the Huntington Ravine trail, which takes you to the Fan at the base of the ravine. 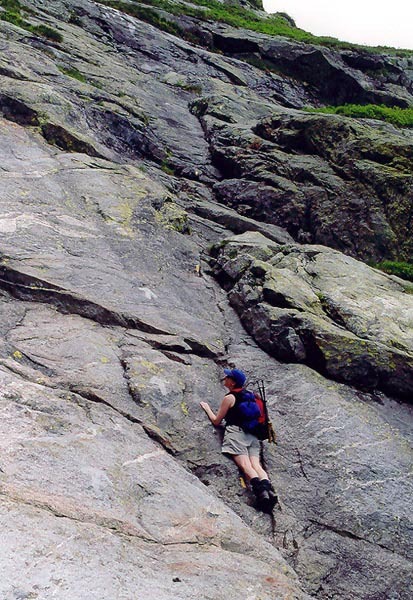 Then the serious climbing starts, with the trail going up bare rock slabs with some exposure, so falls here are serious. 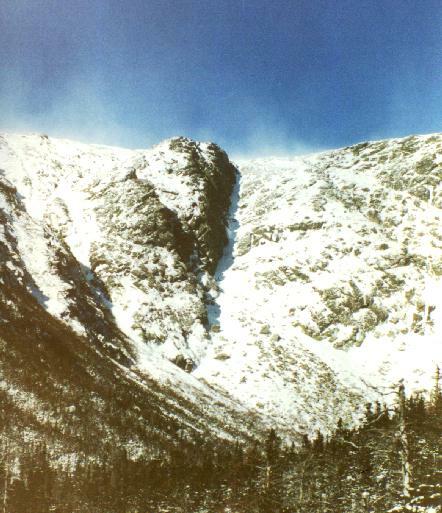 Once above the ravine, the best route is up the Alpine Garden trail to the Tuckerman Ravine trail to the summit.